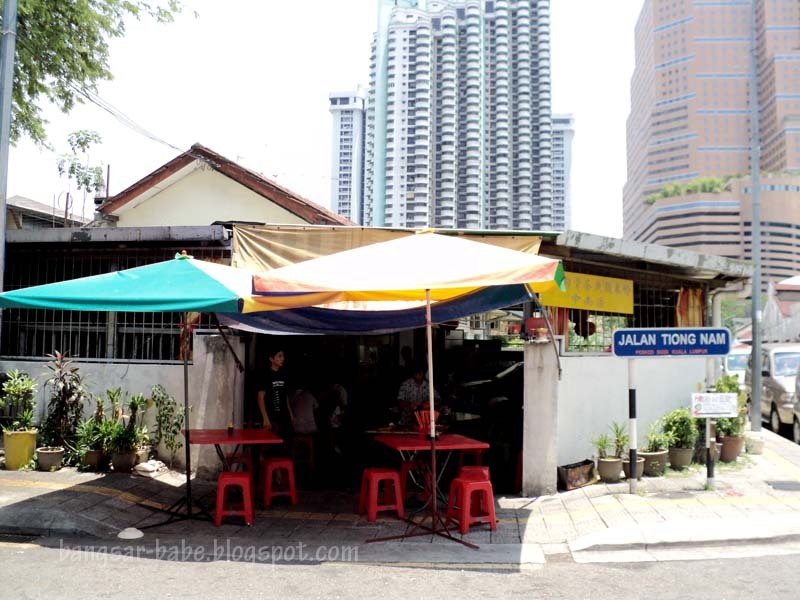 Everyone has their favourite fish head noodle stall. While I don’t often crave fish head noodles, it is something I enjoy eating every now and then. 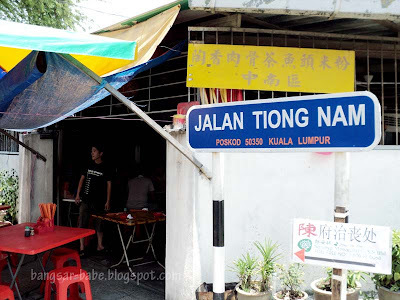 One of my favourite places to go to for good fish head noodles is Jalan Tiong Nam. It can be difficult to spot the shop — it is located in a housing area opposite Sogo. No thanks to their zinc roof, I felt as though I was sitting in a hot oven. Despite wearing shorts and singlet, I still perspired like a pig. rif and I shared a claypot of fish head noodles (RM6 per person) for 2 pax. 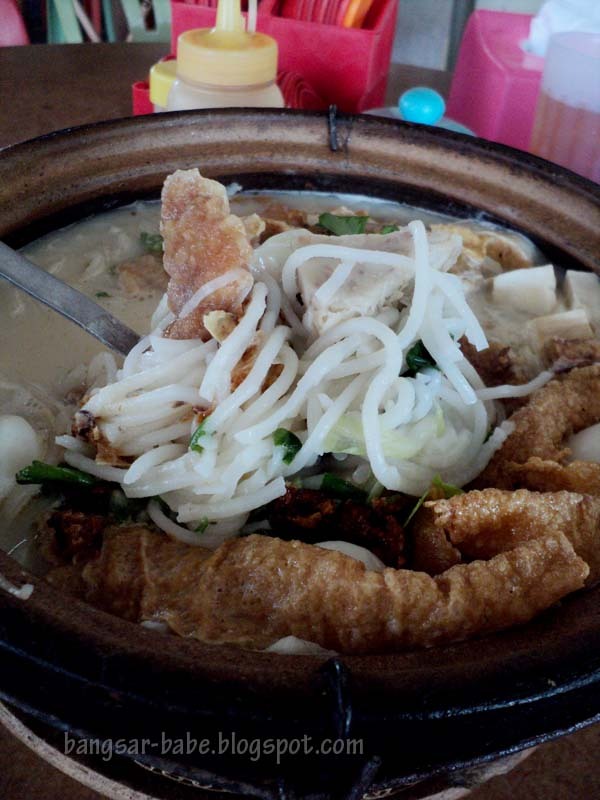 Within 10 minutes, we were tucking into the boiling hot noodles, which came with fried fish head, fish balls, fu chuk, lala, tofu and yam. 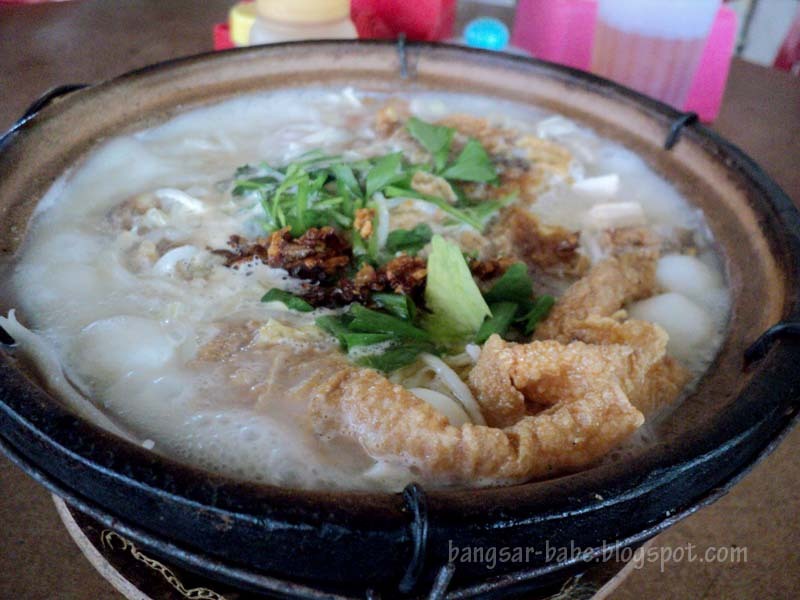 They use thick rice vermicelli (which I like better), but you can opt for vermicelli (mee hoon) if you like. The portion was quite generous – it could easily feed three. The soup was sweet from the lala, evaporated milk and Chinese rice wine. And possibly some MSG. I should have asked for fish slices, as I don’t like spending too much time picking out the bones from the fish head. 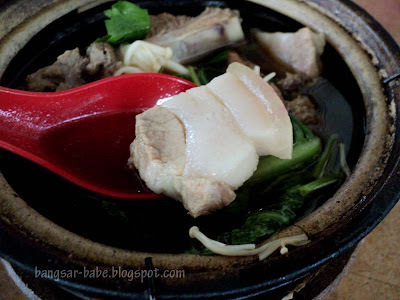 While enjoying the noodles, I spotted a man having the Bak Kut Teh. Curious, I followed suit. This turned out to be a horrible choice. The soup lacked herbs, flavour and kick. On top of that, the pork belly had way too much fat to be considered edible. Possibly one of the worst tasting bak kut tehs I’ve had. Unless you enjoy feeling disappointed, skip this. 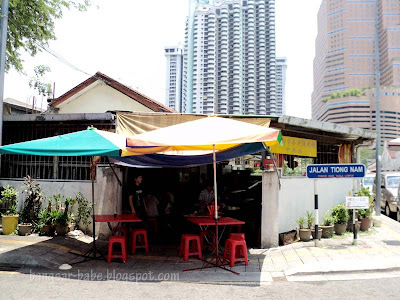 To get to the place, just turn into Lorong Tiong Nam 5 when you see Old Town Kopitiam on the left of Jalan Raja Laut. The shop is at the corner lot of the first junction. 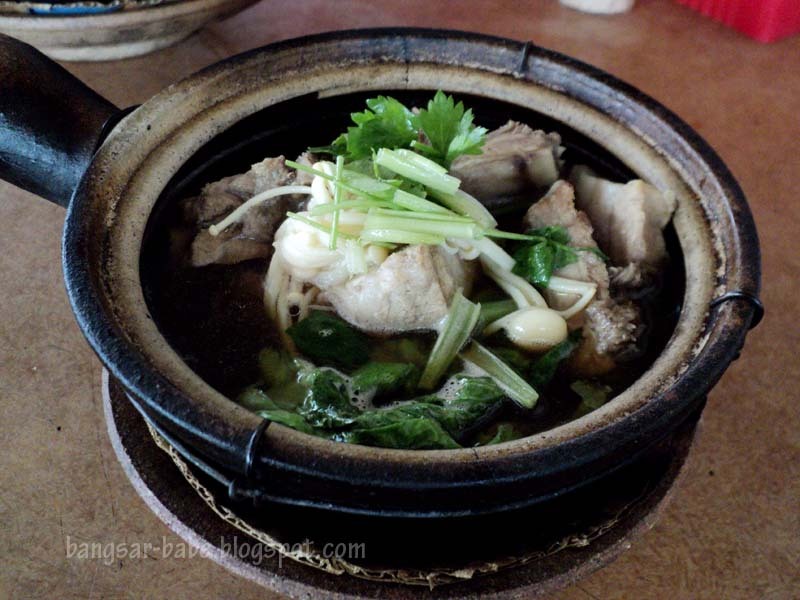 Verdict: For those who cannot stand the heat, I suggest you takeaway your fish head noodles. i'm 1 person who can't stand heat. Ew. That piece of pork is SCARY. Oh dear, I can't stand sweating while having my food! I wonder if they open during dinner? And I love Thick vermicelli anytime! In that case, I won't be able to come here.. coz I'd sweat a lot! love this place when our office was at wisma sime darby, been ages since i had it, love the fish noodles and yes, the bkt does lack the kick i admit. sweat is part of the meal here, im afraid! I like the fish head noodles there 🙂 ButI prefer the one they serve nearby at Ong Lai. Available at night only..me thinks. LFB – Ya…DAMN A LOT! Unka – Yup…only at night. And quite expensive la…no? Cumi & Ciki – LOL…so cute la you! Joe – Ya…next time, I'm going to tapau! iamthewitch – They don't open for dinner. Only lunch I think. Baby – You and I both! Hi Babe…..would you know if this restaurant is still operating? I can’t find any recent posts. Thanks!